A seemingly innocent occurrence may actually have seedy intentions. Ashley Hardacre, a mall employee in Flint, Michigan, shared a chilling experience on Facebook. She was leaving work when she saw a shirt on her car. Not only that, but she wasn't alone. "There were two cars near me and one was running," she wrote, "so I immediately felt uneasy and knew I couldn't get out to get it off." 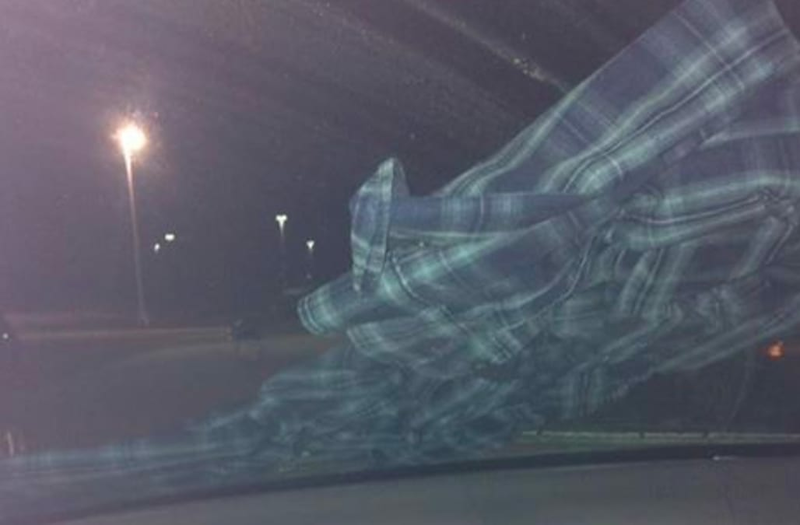 Hardacre tried to use the windshield to get it off, but the flannel was wrapped around it. "I had seen posts lately about people finding things under their windshield wipers in the Burton/Flint area as an attempt to get girls out of their cars and distracted," she wrote. She did not get out of the car; instead, she drove to a safe place and reached from inside to get it off. Unfortunately, Hardacre came upon a tactic to capture human trafficking victims. She told CBS News that her mother warned her about the about the trick, and she posted on Facebook to help inform others. Hardacre certainly achieved her goal: the post reached over 100,000 shares on Facebook. She told AOL.com that she's received a "mostly positive" reaction. "A lot of people are thankful that I am spreading awareness and allowing others to know that this is a serious situation and can happen to anyone," she said. Hardacre wanted to warn others in the Flint area, but her message has a far wider reach. "I am absolutely amazed at how much it has spread," she told AOL.com, "But I am so happy that I can continue to spread awareness to anyone and everyone."